Leopard 2830 Water jacket for 28mm Diameter Leopard Motors. 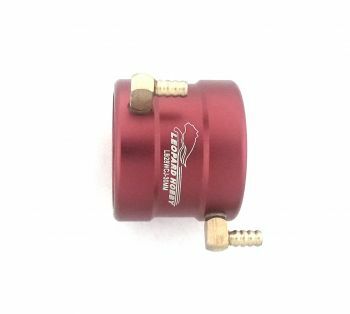 The Leopard Red anodized aluminum water cooling jacket is designed to allow water to come in direct contact with the motor and flow around it allowing maximum cooling. Apply some oil to both your motor housing and o-rings, then slide on the jacket. Fits both Leopard 2845 & 2860 Motor.